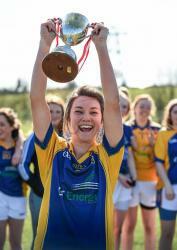 St Patrickâs College put in a hugely impressive performance as they claimed the first of the Ladies Football Higher Education Colleges championships at Cork IT on Saturday, the Donaghy Cup. While they took a while to get going, Patâs still led by 0-3 to no score after 20 minutes thanks to points from Ailbhe Boyle (two) and Niamh Kelly. Rachael Bridges added another as half-time approached before two goals in quick succession, from Niamh Kelly and Caroline Sharkey, put them firmly in control. 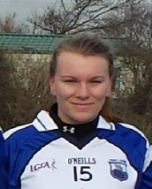 Another Niamh Kelly point gave them 2-5 at the interval and the Mayo attacker was on fire in the second half, scoring two more goals as they ran out comfortable winners. Aisling Cull got Liverpool Hopeâs sole score late on. ST PATRICKâS COLLEGE: J Daly (Dublin); E Fitzgerald (Wexford), A Halligan (Louth), M Reynolds (Longford); S Hughes (Longford), R Lenehan (Mayo), L Griffin (Meath); M OâDowd (Roscommon), N Kelly (Mayo); E OâBrien (Wexford), G Malone (Meath), C Sharkey (Donegal); R Bridges (Wexford), A Boyle (Monaghan), A OâSullivan (Dublin). LIVERPOOL HOPE UNIVERSITY: K Nolan (Kildare): A McFadden (Donegal), D Taggart (Tyrone), C McCarry (Antrim); A McElhatton (Tyrone), Ã McAree (Monaghan), G Kelly (Derry); A Montague (Antrim), N Caughey (Fermanagh); N Furey Kane (Chicago), V Doyle (Tyrone), A Cull (Down); S Devlin (Donegal), S OâGrady (Armagh), T Cadden (Fermanagh).